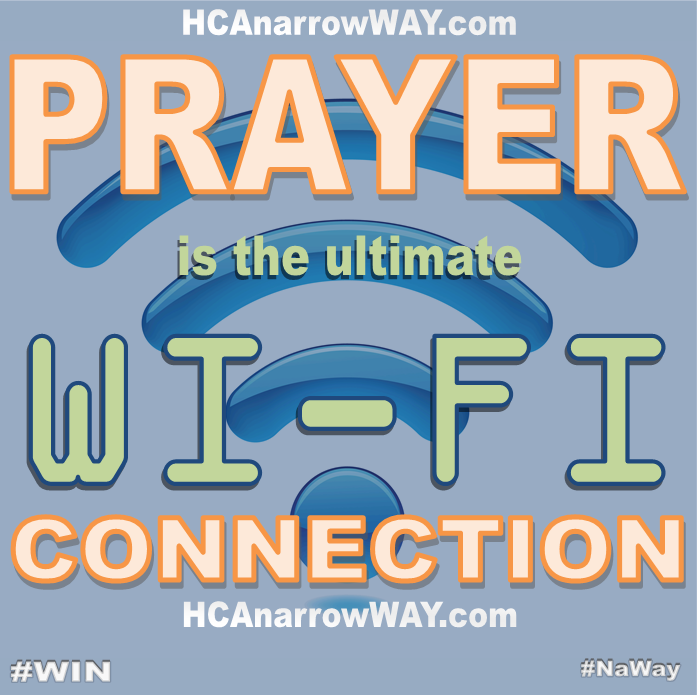 Prayer is the ultimate wi-fi connection. Just look around. Wherever you work probably has wireless internet. Seemingly every coffee shop does. Even grocery and department stores have wi-fi as well. Why? We feel as if we need to stay connected all the time and everywhere. We always want to know what is going on with those around us and tell them what’s going on with us too. We have to keep our status updated and stay abreast with the rest of the world. As far as technology has advanced, though, phones and tablets still die and the internet goes down. But prayer is always there. We can always be connected to Christ. Make time to share your status with Jesus. He will comment on every single one, if you will listen. Stop throughout your day and send up an “I Love You Lord” tweet to God. He will “favorite” it. Unlike wireless internet you truly can communicate with Christ anytime and anywhere. It never goes down. In the midst of trying to get retweets and likes, share your life details with someone who can actually help you. God does not want prayer to be an emergency measure for you. He wants prayer to be a lifestyle. Pray without ceasing. Stay connected.